Almost everyone I know has a Facebook account. I've had one for years but have recently binned it. Social networking is fantastic, but what I found with Facebook it is getting more like unsocial networking. NO I don't want to be part of your Mafia wars family, and as sure as hell I don't want to give you a brick to build a barn in Farmville and I really don't care if you have loads of chickens. Ok Ok I know there is the hide function, but by the time you hide one thing another one appears. It's fun I know (For those with with little else to do) but on the more serious side of things, we have seen Facebook come under a lot of criticism over certain pages, one very recently created to praise and remember a cold blooded killer. Increasingly more and more people seem to be using Facebook as a diary... posting comments what can only be described as very personal information. I've seen it range from bitching about their employer, their work colleagues and even worse their family. All sorts of private stuff that has no business outside a family home. In my opinion, choose your friends wisely, don't just accept all requests... there are really some head melter's out there.... believe me.. 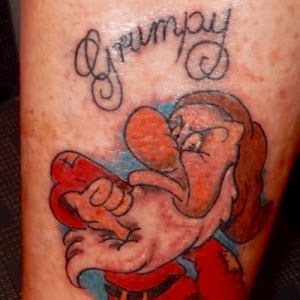 Your totally right grumpy. I'm guilty of most of the above probably. This is an important topic and I believe there will be a lot more discussion around this in the near future. One of the things that has been raised already in a few media reports is the difficulty in removing material from FB if you decide that it's no longer appropriate. For example... People who post photos of themselves in a drunken state at parties, or who slag off their employers, may not want this material to be found a couple of years later when they are trying to ascend into the realms of management. There are many many more examples of how the past could come back to haunt one!!! There have also been numerous issues recently over Facebook security (or lack thereof) and, although I don't fully understand most of these, it does give rise to concern that my identity could so easily be stolen. Well done GH for raising this topic. You are absolutely right about the level of conversation on FB. It's a bottomless pile of shite. Why have you stopped blogging? Where are you grumpyhead? We're waiting with baited breath for your next output!